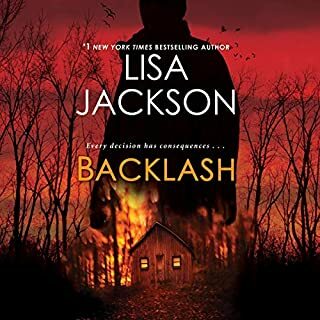 Lisa Jackson's novels of romance and suspense race up the best-seller charts. In Left to Die, the Pinewood County Sheriff 's Department is on the trail of a cold-blooded killer who acts as a savior to women stranded during terrible mountain snowstorms before stripping them of their dignity and leaving them to die, a victim of the elements. But the killer's latest victim managed to escape, leading some to believe there may now be an imposter on the loose. 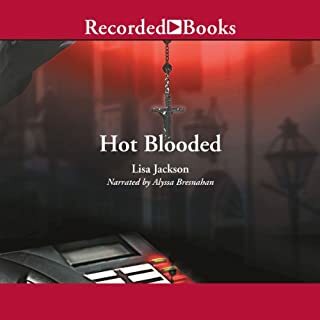 In Hot Blooded, she transports listeners into the heart of New Orleans, where a deluded murderer is on a holy quest of vengeance. Dr. Samantha Leeds hosts her own late-night radio talk-show on WSLJ. One day she receives a menacing phone call at her home, while miles away, a prostitute is strangled to death. Seemingly unrelated, nobody connects the two events until more murders occur under similar circumstances. Twenty years ago, a fire ravaged the Dillinger family's old homestead, killing Judd Dillinger and crippling his girlfriend. Most people blamed a serial arsonist who'd been seen around town. But strange things are happening in Prairie Creek, Wyoming, again. Ira Dillinger, the family's wealthy patriarch, has summoned his children home for his upcoming wedding. Eldest son, Colton, and his siblings don't approve of their father's gold-digging bride-to-be. But someone is making his displeasure felt in terrifying ways, setting fires just like in the past. Only this time, there will be no survivors. Twenty years ago, wild child Jessie Brentwood vanished from St. Elizabeth's high school. Most in Jessie's tight circle of friends believed she simply ran away. Few suspected that Jessie was hiding a shocking secret - one that brought her into the crosshairs of a vicious killer. Marla Cahill survives a horrific car accident, but comes out of it with near total amnesia - unable to recognize her own face. Now, confined to the Cahill mansion among strangers who claim to be her family, she begins fearing for her life. Someone was counting on Marla's death in the accident - and they may finish the job the moment her memory returns. Rory Abernathy’s wedding to Liam Bastian turned into a bloodbath. She fled after stabbing a masked intruder, just before a gunman opened fire on the wedding party. Five years on, Rory still has no idea who was behind the attacks. Fearful she and her daughter remain targets, she’s made a new life far from Liam and the wealthy, powerful Bastians. But even in remote Point Roberts, Washington, she can’t hide from the past. Liam tracks Rory down, stunned to learn they have a child. Did someone in Rory’s family try to kill him for his portion of the Bastian estate? In Ava’s dreams, her son, Noah, looks just the way she remembers him: a sweet two-year-old in rolled-up jeans and a red sweatshirt. When Ava wakes, the agonizing truth hits her all over again. Noah went missing two years ago, and his body has never been found. Almost everyone, including Ava’s semi-estranged husband, Wyatt, assumes the boy drowned after falling off the dock near their Church Island home. Ava has spent most of the past two years in and out of Seattle mental institutions, shattered by grief and unable to recall the details of Noah’s disappearance. Caitlyn Montgomery Bandeaux wakes one morning drenched in blood, her head pounding mercilessly. Worst of all, she can't remember what happened the night before - when her estranged husband was murdered. Now the police want answers. Tormented, Caitlyn turns to her sister for support and is warned not to talk to the handsome new psychologist in town. But she soon realizes he's the only person she's comfortable confiding in. Deep in the Smoky Mountains, the victim lies, sacrificed on a makeshift altar. FBI agent Dallas Sloan knows the scene all too well - just as he knows the killings won't stop until there are four more bodies. Genny Madoc's "sixth sense" has brought many of Cherokee Pointe's residents to her isolated log cabin, looking for help. But now it's Genny who needs help from the disturbing visions she sees. Thrown together by necessity, drawn to each other by desire, Dallas and Genny must band together, searching the darkest heart of a town's hidden secrets. In death, Didi Storm is finally getting the kind of publicity that eluded her in life. Twenty years ago, the ex-beauty queen worked the Vegas strip as a celebrity impersonator, too busy trying to make it big to spare much time for her daughter, Remmi. Shortly before she leaped from a San Francisco building, Didi's profile was rising again, thanks to a tell-all book. To Detective Dani Settler, it looks like a straightforward suicide, or perhaps a promotional stunt gone wrong. But Remmi knows the truth isn't so simple. Because though the broken body on the sidewalk is dressed in Didi's clothes and wig, it isn't Didi. There is a serial killer on the loose preying on vulnerable women. The only identifiable mark the killer leaves are letters - sometimes one, sometimes two - all carved into the torsos of his victims. Together, they spell “Sydney”. When he grabs Daisy Dawson, he believes he has found his next victim. But despite her small stature, she fights back with an expertise that quickly frees her. Before fleeing the scene, Daisy also manages to grab what proves to be crucial evidence: a necklace from around the killer’s neck. HOLY SH*T!!!! One of the best from Karen Rose! One by one, he'll stalk them, then he'll squeeze the trigger, savoring the way each lifeless body crumples to the reddening snow. One down already. And then there were five.... 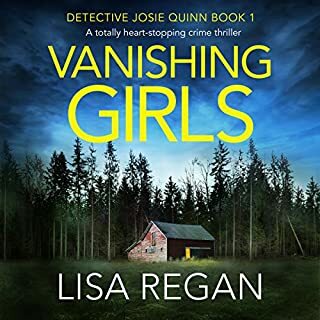 When Detective Regan Pescoli drives to Sheriff Dan Grayson's house to present her resignation, she's prepared for an argument. She's not expecting to find Grayson shot and bleeding out on the frozen ground. The assassination attempt leaves Grayson barely clinging to life and the entire police department of Grizzly Falls, Montana, in shock. Every lawman has enemies, but something about this shooting suggests more than a simple grudge. Now Pescoli feels compelled to stay on the force until the case is solved. She and Detective Selena Alvarez - who is torn between a new relationship and her loyalty to Grayson - work to whittle down the list of suspects. But the deeper they go, the more personal and dangerous the case becomes. Then a prominent judge's body is found and the killer sends a sinister warning to the press: “Who's Next?” Headstrong and eager for justice, Pescoli has no intention of waiting around to find out. She'll track the scant clues on her own if she has to, but she has no idea where her search will lead.... Two down, four to go... and now Alvarez and Pescoli are at the top of a killer's list. And when hunter meets prey, both must be willing to kill - and ready to die. ©2013 Lisa Jackson LLC. (P)2013 Brilliance Audio, all rights reserved. I have always enjoyed this series and I suppose I did this time with some minor reservations. It dragged in parts and could have done with some clever editing. I think I probably enjoyed the storyline behind the main plot - which describes the private lives of both Pescoli and Alverez, the two main detective characters - more than the actual plot surrounding the killer which did not raise my pulse rate at all. The narrator performed the story well however the volume of her voice fluctuated between breathy and barely audible to normal and proved frustrating at times. All in all, I'd rate this book as an average thriller and 3/5 stars I gave it reflects this. 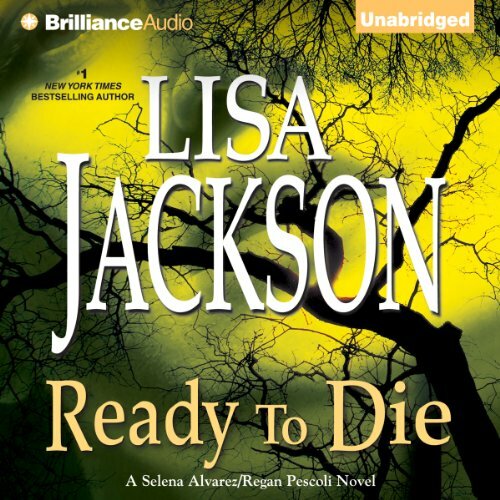 I love the "To Die" series by Lisa Jackson. 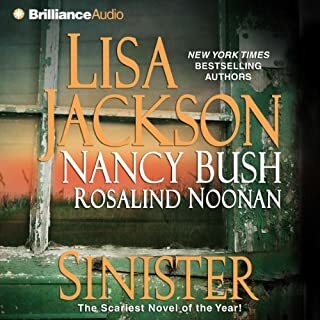 This is the 3rd book I have listened to in Audible. I enjoyed book 1 and 3's performance but it was really hard to get into this performance. The reader gave the characters very different voices that were hard to relate to. But the book was otherwise great. If you could sum up Ready to Die in three words, what would they be? Because these books would make an awesome tv series like in the old days when they had a mystery hour or even a movie. The plot kept me on the edge of my seat, especially the twist.....I don't want to say much so I don't ruin it for others who have not read these books yet. I don't care for the narrator....she would be great, if she quit making the voices with the accents, which by the way were very inconsistent. I liked the narrator of the first 3 books so much better!!! His voice was made for these books. I like the entire book!!! The narrator really brings the characters to live! Loved the twists and turns the book had to offered. Which kept me fully engaged from start to finish. can't wait for more in this series! as always this continuing series keeps me listening and looking forward to the next!! even though each one has a thrilling conclusion, the continuing story line makes me look forward to the next in the series. even when I was out of sequence I was still enthralled. Would you listen to Ready to Die again? Why? Yes. It was very well done and exciting. The best part of these stories is not only the crime work these women do but how they handle their personal lives. Their dogged determination to find a killer despite their own problems. What about Natalie Ross’s performance did you like? She's excellent - perfect for these women. These books grab you and somehow make you completely immersed in the story. Second book where reader tries to do a Spanish accent. does a poor job, better off without the accent. it wasn't noticeable in previous reads.